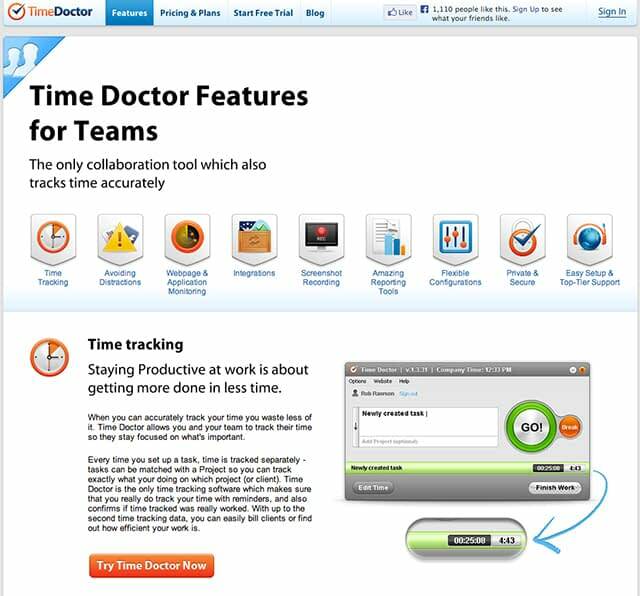 Time Doctor Review - Online Time Tracking & Analysis - Worth it? 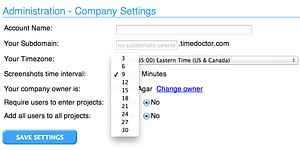 Time Doctor provides a practical way to actively track time management and productivity. Keeping your employees productive while working online is a difficult task for many business owners. In most cases, you are left to rely on the employee's ability to keep an accurate track of their hours. This process leaves a massive margin for error and exploitation, which can be detrimental to your overall bottom-line. A service called Time Doctor has come forward that helps remedy this problem. By signing up with Time Doctor, you will be able to automatically track your employee's hours of work and productivity levels in a straightforward and simple way. By accessing the Time Doctor's control panel via the web, you can view on-demand reporting, analysis, and productivity levels make sure your employee's are not wasting your valuable time and money. Since I am not currently employing anyone on an hourly compensation, I do not use this service for my employees. However, they do offer a ‘Solo Plan' which allows me to run the Time Doctor service to monitor my own hours and productivity, which can be helpful for productivity analysis and record keeping. I'm telling you this up-front to be clear that my review is based off 30 days of use of the ‘Solo Plan' alone and I have not implemented the service for any of my employees myself. It is important to note that the Solo Plan and the higher tiered plans (where you track employees) do not differ in terms of functionality so this review will still be accurate for use in larger companies. Time Doctor includes a hefty amount of features so I'm going to touch on the one that are the most substantial. First off, is the most important and most obvious feature, which is time tracking. 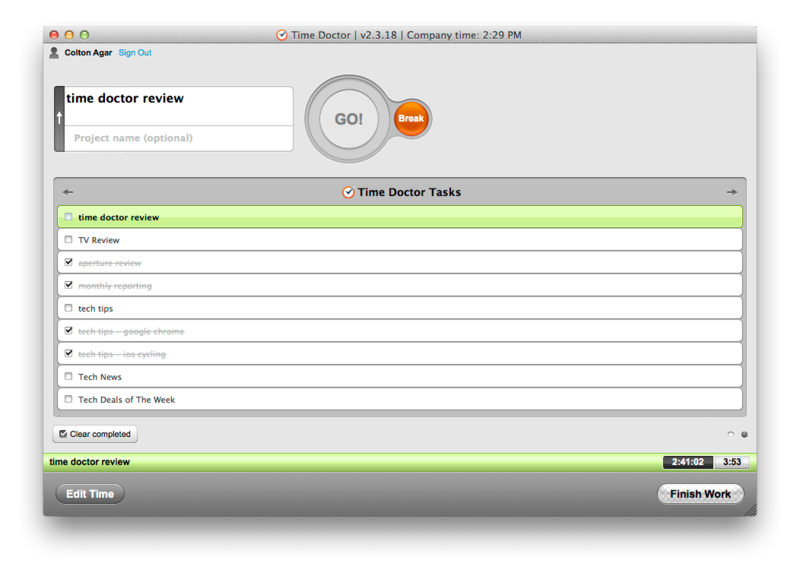 Once installed the Time Doctor client will prompt you to enter in a task and start tracking your time. What I love about this is that it keeps your time sheet organized since time is tracked independently per task. This allows you to easily break down time spent on a particular task and help analyze productivity for future gain. In the past, I've forgotten to mark down my hours simply because it slipped my mind. With the Time Doctor client running in the background of my computer, it will prompt me to start tracking your time when my computer awakes from an inactive state or when it has been restarted. By incorporating this functionality, I am always on-top of my tracking and do not have to deal with hassle of forgetting to initiate the service. If I click ‘Yes' then the software will continue tracking my time (and not prompt me again for this task), but if I click ‘No' then I will be automatically put on a ‘break'. I find these pop ups to be a great way to keep me focused as I don't realize my attention shifting until the notification comes up. Once I see the notification, I realize I need to get my priorities in order and get back to the task at hand. The screenshot capabilities is more useful on employees than yourself, but it is still an innovative feature that is worth mentioning. The screenshot feature is completely optional to use and it can be configured differently for each employee you add to your account. What it does is monitor your employee's screen and captures their active windows at a specific interval while they are on the clock. If they are going on Facebook or Fantasy Football instead of working, you can easily catch them in the act and save yourself the wasted compensation. What I found most interesting about this screenshot feature is that it also works on multi-monitor setups. Since I typically am on my iMac coupled with my Dell U3011 monitor, it will trigger a screenshot of both of my monitors therefore keeping me or any future employees from hiding distracting windows on a separate screen. I know this might be a privacy issue to some, but personally I'd want every dollar in compensation to be rightfully earned. Again, this feature is optional and can be configured to your likely on a user by user basis. The duration period in which screenshots are taken is also adjustable from every 3 minutes up to every 30 minutes. Employees can also view/delete these screenshots, but every screenshot that is deleted docks a relevant amount of time from their work hours. Time Doctor also provides an innovative reporting structure that allows you to see up-to-date data and statistics about your employees usage. For example, each week I automatically receive a detailed report via email. This report gives me a precise idea of what tasks I accomplished in the previous week, how many hours I worked, how much time was spent on emails, and what websites I visited most. 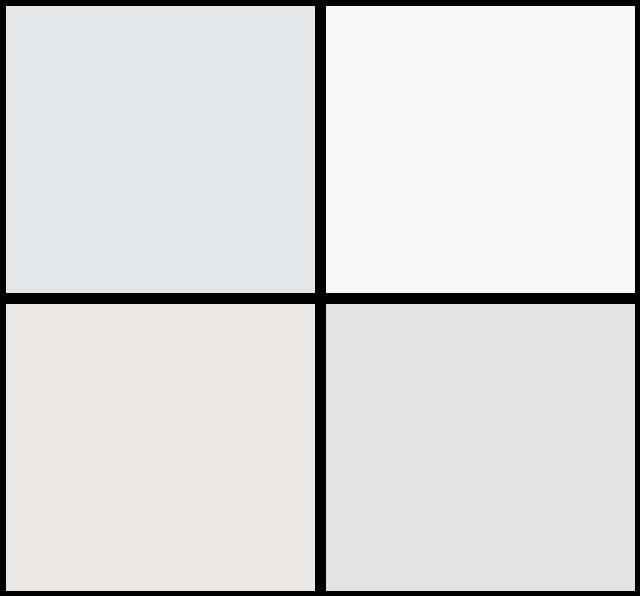 This makes it convenient to pinpoint my productivity weaknesses and improve them in the future. If you're using the Time Doctor service to track employees, you should be able to easily tell by the weekly summary whether they were productive or not. If I log into the browser-based control panel, I can also view more specific reports like ‘poor time use', ‘absent or late time', or ‘web and app usage'. If you'd like to view a full list of Time Doctor's features click here. The Time Doctor client interface is amazingly simple to use. The functionality of this client is foolproof as you enter a task (and optional project name) and click the ‘GO!' button and you've begun tracking. When you're ready to take a break just put your computer to sleep or click the ‘Break' button and your tracking will pause. 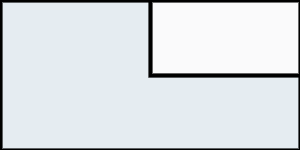 When running in the background you will see a small black bar that attaches to the bottom or side of your screen. This bar tells you your current task at hand and gives you a running timer of how long you've spent on the task at hand as well as how long you've been clocked in for the day. If this feature is something you find distracting, then simply close it and you'll remain clocked in.The Time Doctor client practically runs itself and that makes it great for any employee regardless of how tech savvy they may be. The control panel's interface is also easy to follow. The general layout is very basic with 6 drop-down menus at the top left of the screen that allow you to navigate throughout the various reporting and monitoring options. Initially, I thought a feature-packed service like this may have a cluttered and confusing interface, but from my experience it has been easy to understand and all the functions have been straightforward. From my experience, the Time Doctor has been a robust time management and monitoring service that truly surpassed my expectations. I went into the free trial thinking that it was going to be a mediocre experience (mainly because I've never heard anything about the company or service), but it has been a satisfying experience. I have decided to continue with the paid ‘Solo Plan' in the future as the value I receive in return for the monthly fee is worth it. From a personal standpoint, it has been an educational way to improve my productivity and has allowed me to pinpoint certain attributes in my daily workflow that have caused slowed progress. I also love how easy it is to have it actively track the hours I spend working as I've struggled in the past to accurately keep track of my hours on my own. From a business standpoint, I will absolutely be using the Time Doctor software with any future employees who are being compensated on an hourly basis. The tools and functionality within Time Doctor can keep your employees more productive and help you weed out the ones who are just wasting your time and money. The purpose of you hiring help is for them to work and accomplish tasks at your expense. With Time Doctor, you can confidently confirm that are doing just that. In the end, I found the Time Doctor to be an refreshingly beneficial service that takes solves a difficult issue in a straightforward manner. The interface is simple, it's easy on your budget, and the functionality is unmatched by any competitors. Personally, it has aided me in becoming more productive and staying focused on the task at hand. I highly recommend the Time Doctor service to anyone looking to actively track their own time and productivity or anyone who hires a freelancer, consultant, or telecommuter on a regular basis. Best of all you can test out the full functionality by signing up for their 30-day trial. 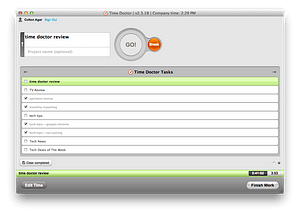 Time Doctor seems to be the good time tracking and management tool. I have heard a lot about the tool practically as well as in the Internet. The way it manages and keep track of time helps it stay ahead of all other competing tools. This is the best Time Doctor review on the web. I especially liked that you had explained the reasons for using the software like this. I believe the competitors like ScreenshotMonitor.com offer similar functionality in a better interface and for a better price. The only issue I am having (I’m required to use Time Doctor) is that my A/V Webroot Secure can not permanently add Time Doctor as an exception to M/W scans. If there’s a reputable A/V app out there that will work with this, I’d like to know. Webroot said it can’t be removed. We’re glad you like Time Doctor. We’re here to improve everyone’s productivity and it’s so great to hear that we’ve helped you out with that. How is it so far for you? Let me know if you have concerns. Let’s keep in touch. Last year TimeDoctor has an issue which is not going to be fixed. The counter is being looped over certain time, and thus the time is being lost. The issues happens 1-2 times per month and usually it can be caught. The bug is clearly seen when you compare your web $ app usage report per day with your timesheet. I had such issue as well. Their Timedoctor Lite application is too CPU consuming. Install Pro version to solve it. It is free.